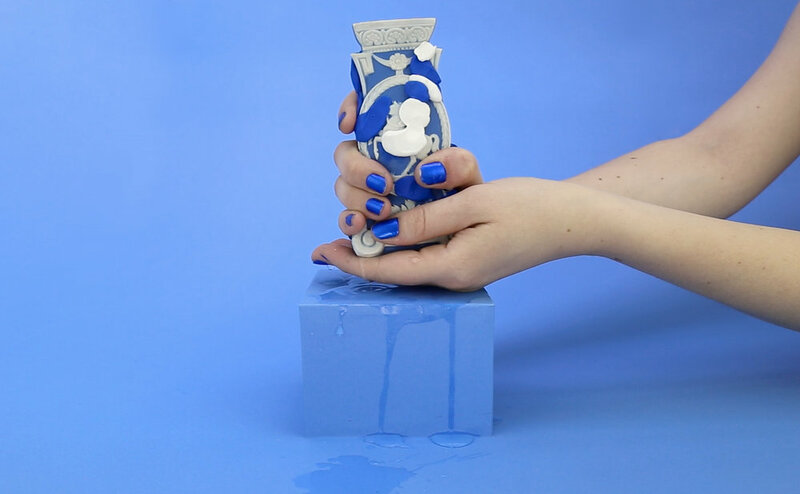 Does it Hold Water presents new video and sculptural work by 3rd-year MFA candidate Erin Mallea. Focusing on the artist’s ongoing investigation of historic reenactment, the exhibition actualizes the idiom “Does it Hold Water?” and considers the artist’s family history to question the limits of replication and enact a different form of remembrance that accounts for spills, transformation, incongruity, and bias. Erin Mallea is a multidisciplinary artist based in Pittsburgh, Pennsylvania. Her art practice is rooted in a generative research process in which she maps literal and symbolic constructions of place and the past and present of the spaces she inhabits. Working across media, Erin collapses natural and national history to examine larger taxonomies and systems of producing knowledge and memory within the American landscape. 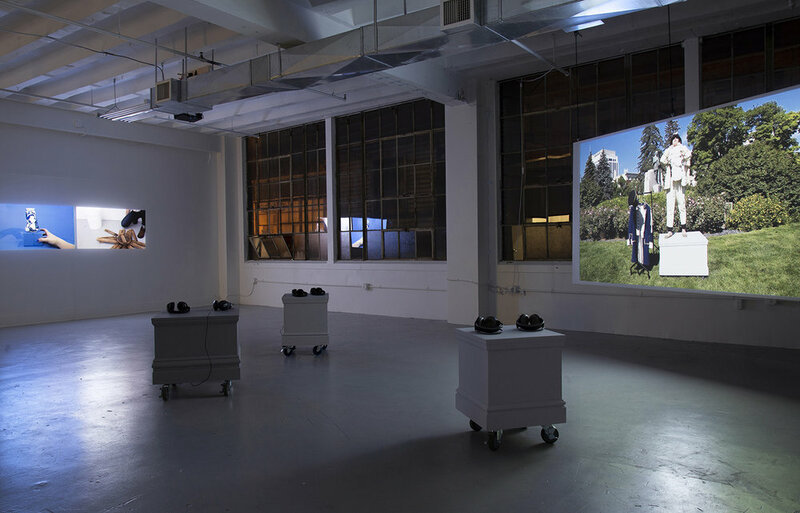 She enacts a methodology of site-specific fieldwork that is analytical, meandering and playful to amplify and scrutinize embedded cultural and institutional assumptions, quirks, failures, and ideologies. 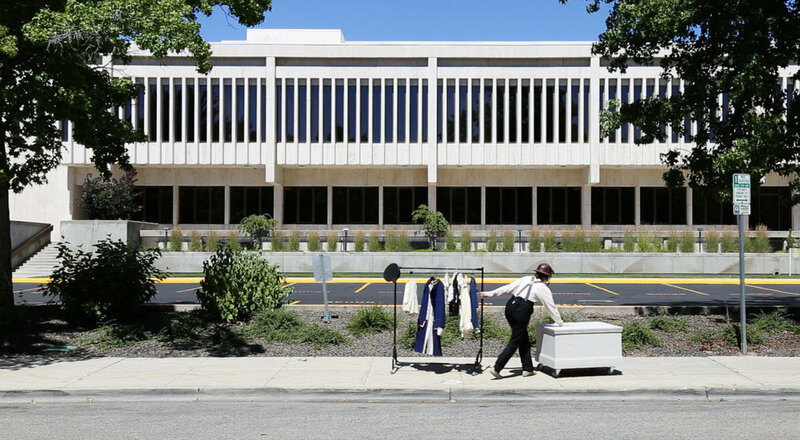 Contextual, processual, and sometimes public in nature, Erin’s work often implicates herself as an individual navigating local organizations, bureaucratic systems, archives, and institutions of memory. She has exhibited and produced educational programming nationally. Erin has used a picnic table beside a lake in the Mt. Hood National Forest as a collaborative art-making space, presented a proposal to the Allegheny County chapter of the “Colonial Dames of America” advocating for the ethical memorialization and representation of an historic oak tree, and recently spent the summer with biologists and ranchers to learn more about land-use politics and American nationalism in the rural Mountain West. Erin is currently a MFA Candidate ('19) at Carnegie Mellon University.